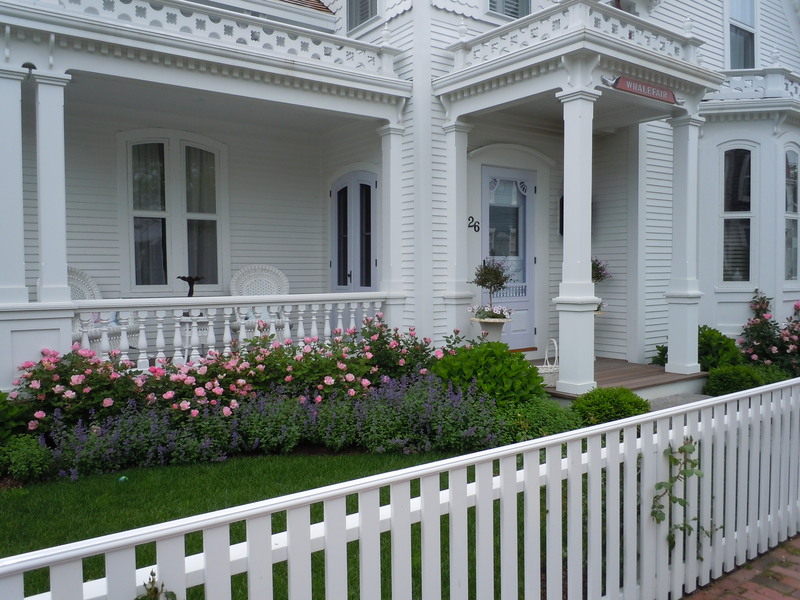 Nantucket is to take long walks through the residential areas of Town, admiring the old homes with their grey siding or shingles, colored front doors with great knockers and the necessary window boxes, sometimes clever decorations too. 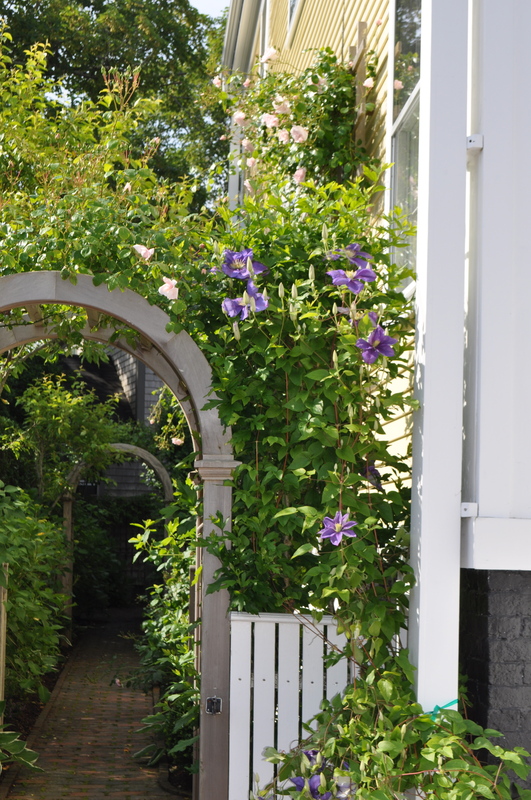 The narrow streets, sometimes still paved of cobblestones, make peering into the Summer lives of Nantucket residents irresistible. Having nosy walkers staring at their homes, must be one of the few downsides of living in Town. All the rest is divine. 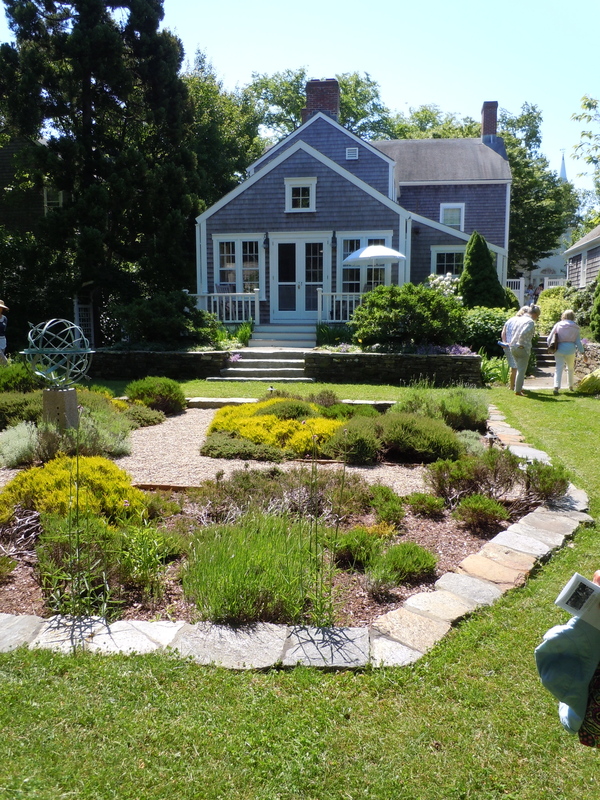 This year I was thrilled that Nantucket participated in the Garden Conservancy Open Days during the time I was on Island! 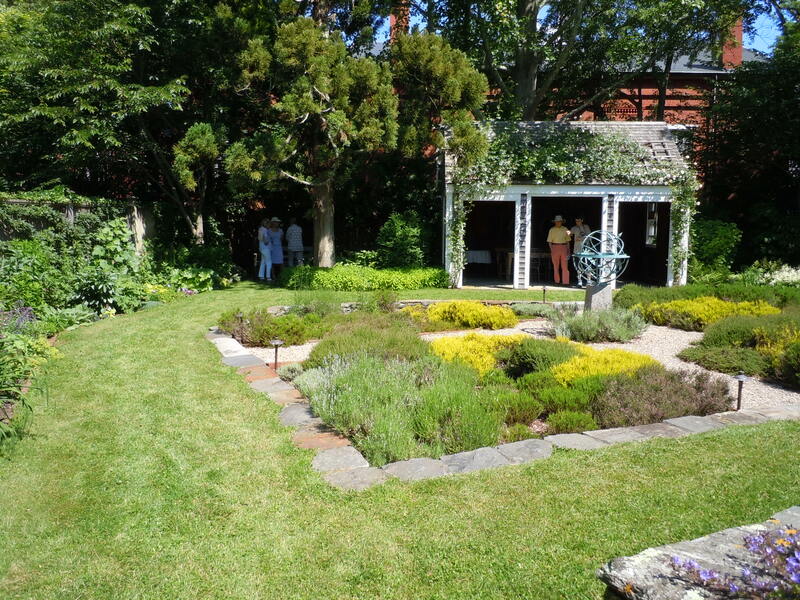 We visited three gardens and sad to say that my camera was giving me problems so I have just a few photographic images to share, but believe me that each garden was completely enchanting. 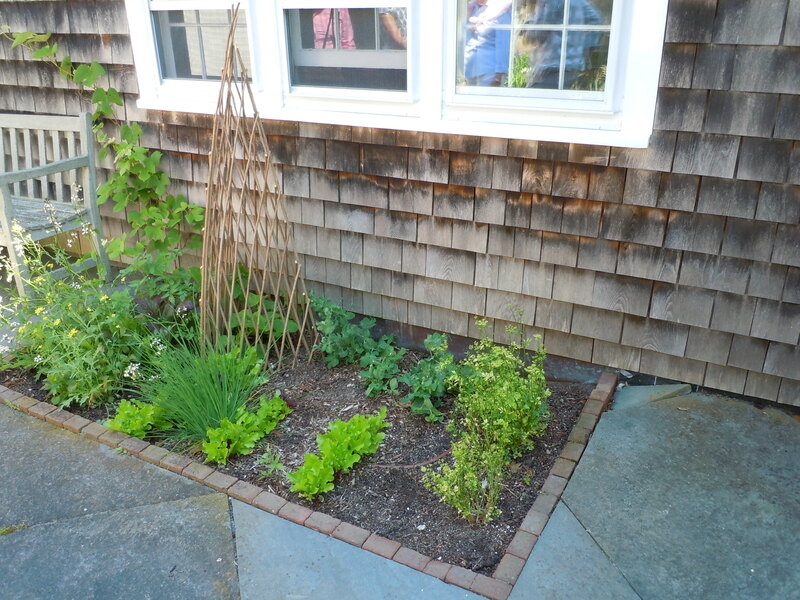 Roses do well and herbs and veggies must love the sea air. 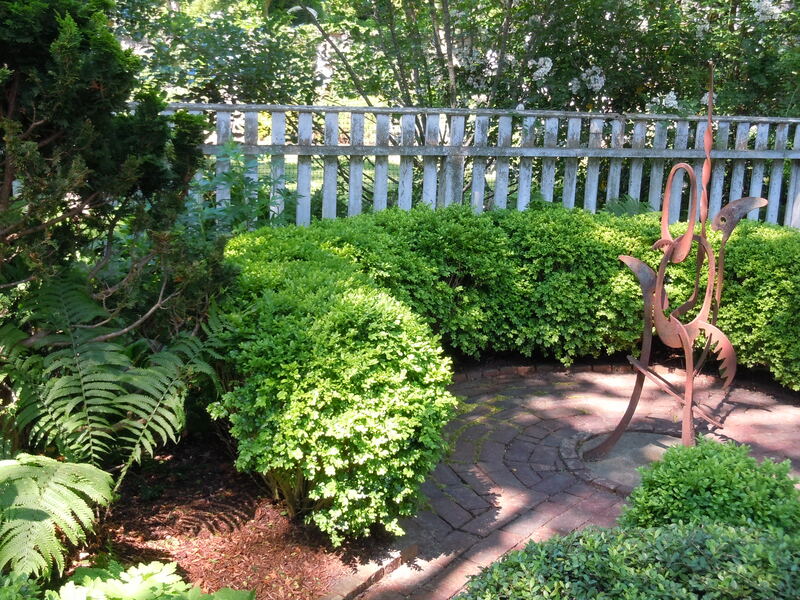 I admired quiet pockets in the shade and the gardener’s place of repose. 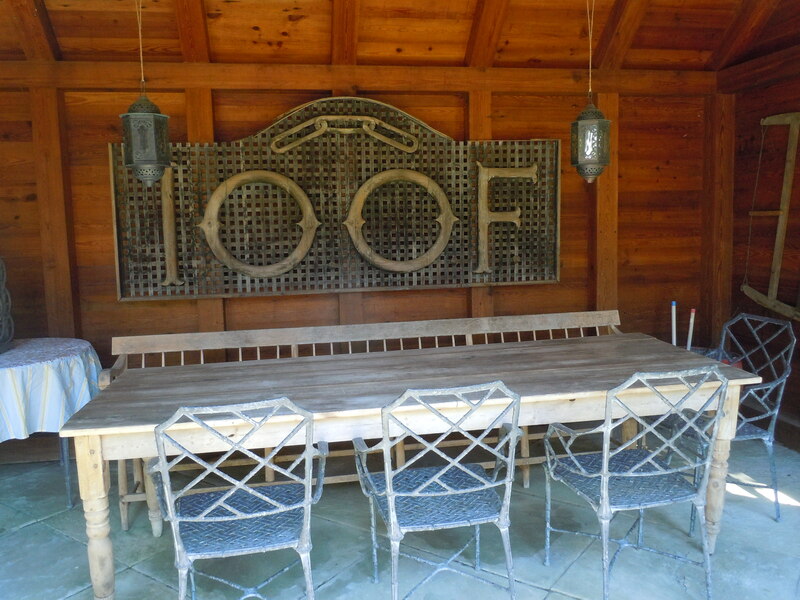 In my mind I set the table for an alfresco meal in this garden. Who would you invite for dinner? 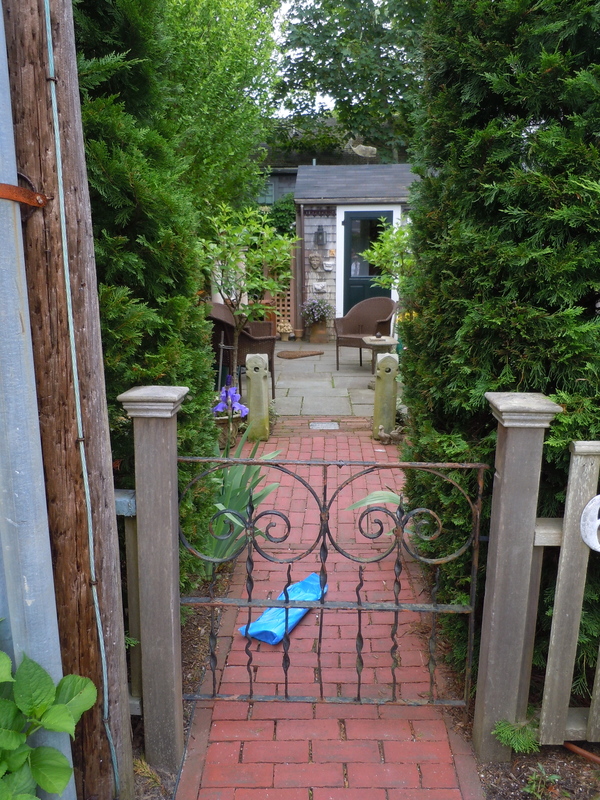 If you made this your Summer home, can you imagine gardening and its pleasures? 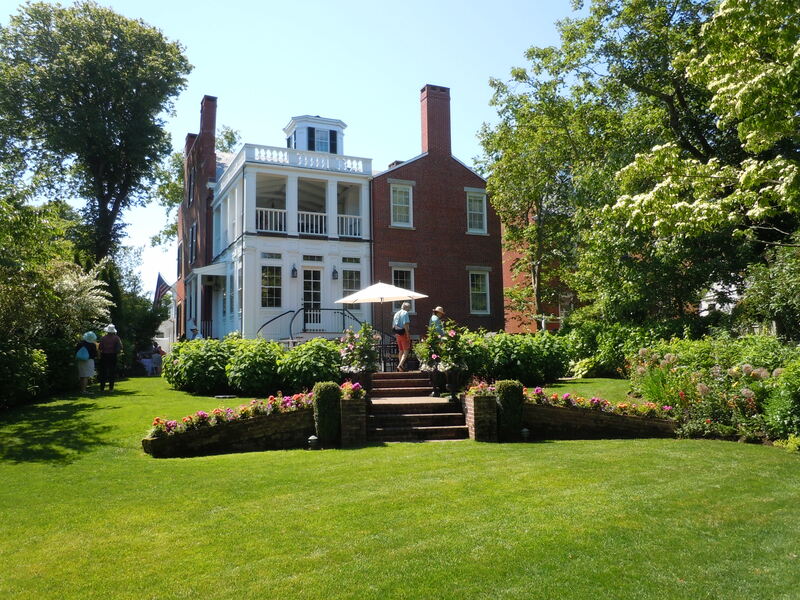 As always, the Garden Conservancy must be commended for providing this venue for gardeners to share their spaces and places with each other, all the while raising funds for their important projects. 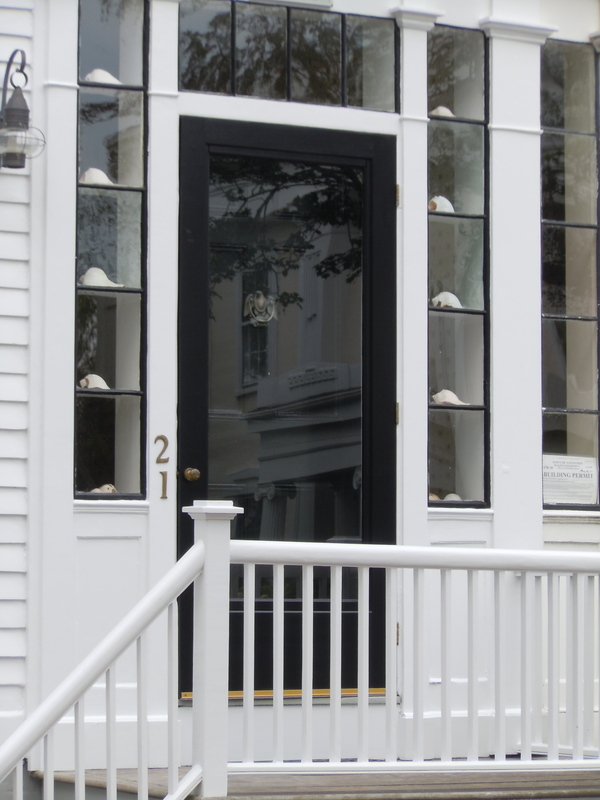 If you are fortunate enough to be headed to a much-anticipated Summer break on Nantucket, be sure to stop by the Nantucket Carving and Folk Art . 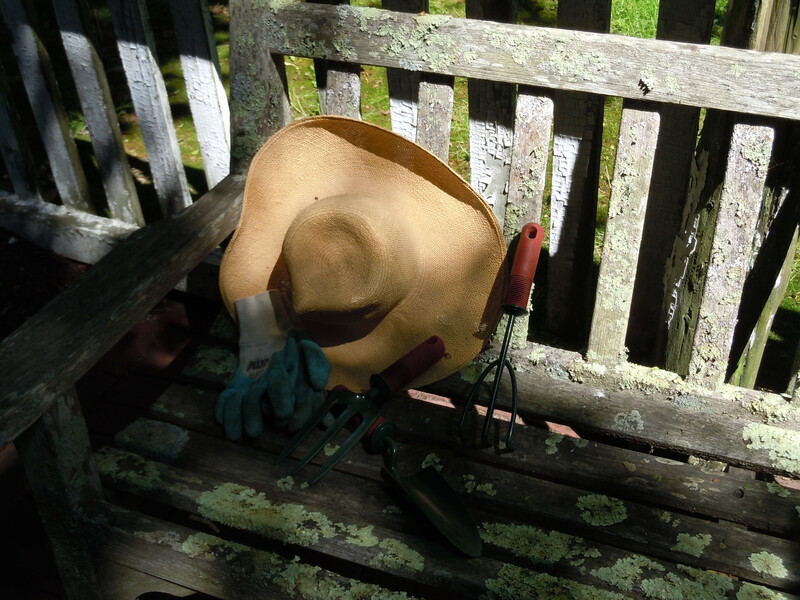 Paul McCarthy is a genuine Nantucket treasure. This is an essential visit. What an extreme pleasure to walk inside to see this fabulous treasure and learn that it was created by someone I know! 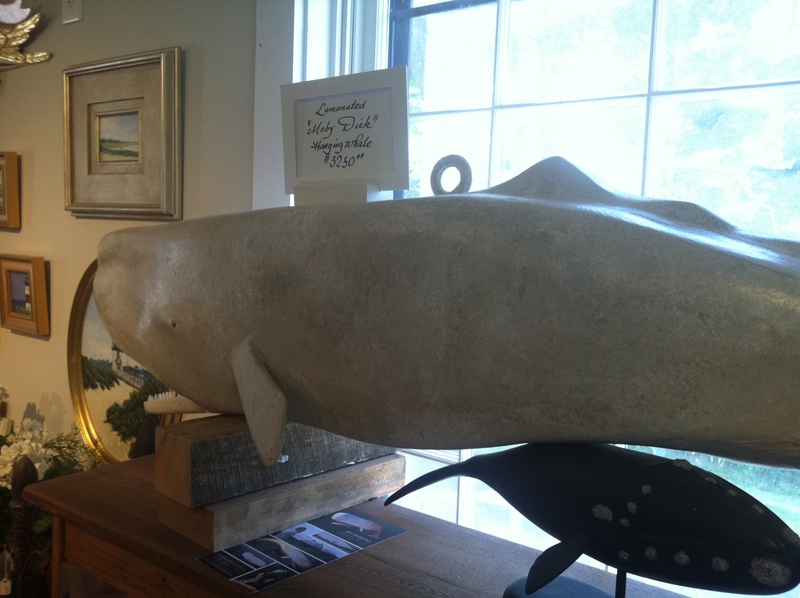 Carved by Jeff Raymond, an artist who creates with an understanding of the soul of Nantucket. Go see!!! 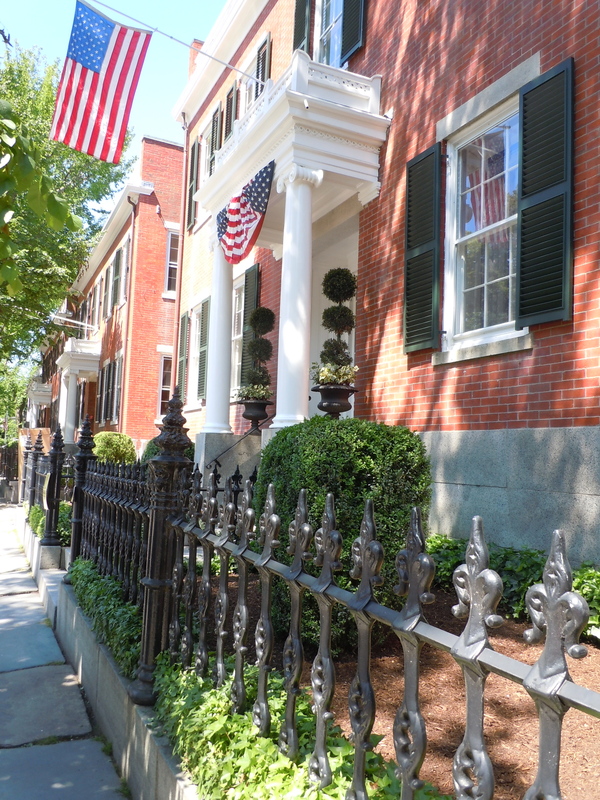 This entry was posted in Uncategorized and tagged Garden Conservancy, Jeff Raymond, Nantucket, Nantucket Carving and Folk Art, Nantucket gardens, Nantucket homes, whale. Bookmark the permalink. Thank you for sharing. I really get a feel for the place with your blog. 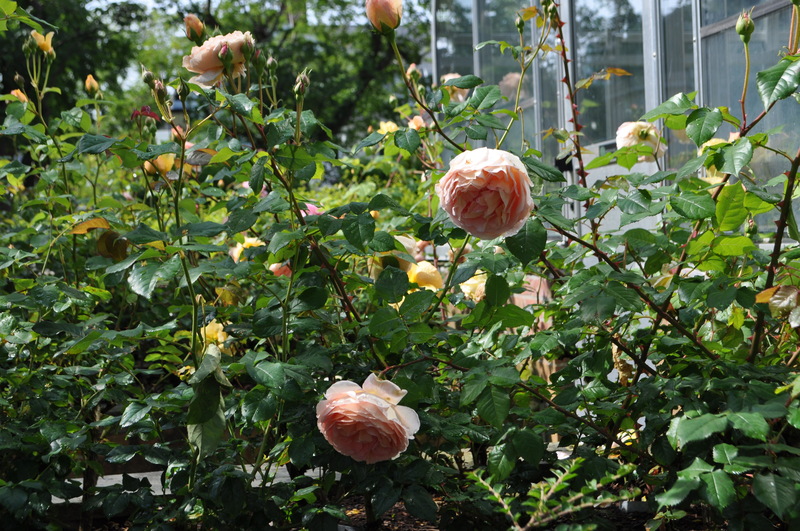 How wonderful to find gardens to visit while on holiday. 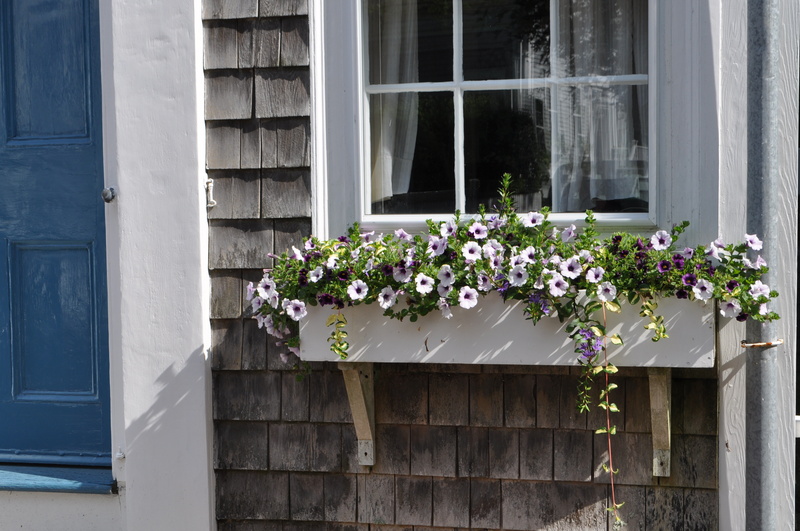 The houses with their window boxes look really pretty and I love the wood carvings, being a wood carver myself I am always drawn to wood in any shape or form. 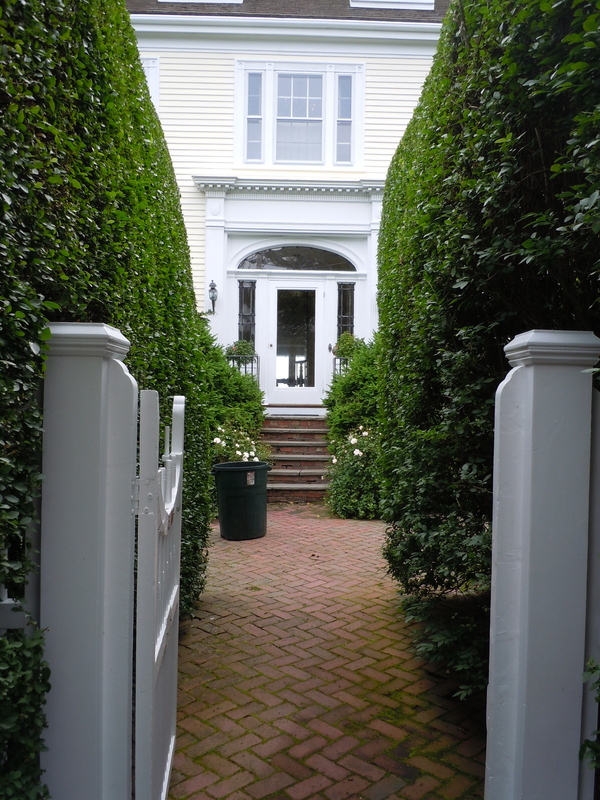 I’ve never been to Nantucket but I’ve always imagined that it is grand and beautiful! You took some wonderful photos to share! It really makes me want to visit! Enjoy your weekend! I haven’t been for a while, we used to rent for a month each summer, but I haven’t been for a while now. Loved every minute of our time there and your post brought back so many happy memories! I’ve never spent a whole month, but that is on my list of Summer wishes someday!